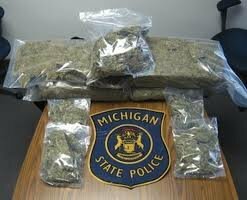 There is a major provision of Michigan Controlled Substance Act that is a vital tool for Michigan criminal defense attorneys representing drug offenders and individuals charged with possession of marijuana, cocaine, heroin or other controlled substances. The law is found at Michigan Compiled Laws (MCL) 333.7411, also known as “7411”. The law applies only to persons charged with possession of marijuana, analogues, or controlled substances such as cocaine or heroin. The law does not apply to persons charged with delivery, manufacturing, selling or trafficking drugs. Sentencing pursuant to 7411, allows for a first time offender involving possession of marijuana, analogues or controlled substances to have the proceedings deferred without entering a judgment of guilt. Cases can be deferred in circuit court or district court on misdemeanor or felony possession cases. A person given “7411 status” is placed on probation without jail or prison. The probation period can be as long as 2 years on a misdemeanor and as long as 5 years on a felony. There is no minimum term of probation and, technically, a person can be placed on probation for 24 hours. Terms of probation can vary but will generally require that the remaining drug free, attending counseling and comply with drug and alcohol testing. Upon successful completion of probation, the court shall discharge the individual and dismiss the proceedings. There may be only one lifetime discharge and dismissal under this section. There will be no public record of any conviction in the case. An individual who successfully earns a dismissal pursuant to MCL 333.7411 will not lose his or her driver’s license for six months. If you are a Michigan criminal defense attorney and need assistance understanding how to use MCL 333. 7411 to help your clients, you can contact LEWIS & DICKSTEIN, P.L.L.C. and we will attempt to assist you. LEWIS & DICKSTEIN, P.L.L.C. is the premier drug crimes defense law firm. It is located in Oakland County, Michigan. If you are charged with a drug crime and would like a free consultation with a highly experienced, successful Michigan criminal defense attorney, please feel free to call (248) 263-6800 or fill out a Request for Assistance Form and we will promptly contact you. Free Consultation 24 hours per day, 7 days per week for anyone charged with a drug offense in Oakland County, Wayne County, Washtenaw County, Livingston County, Macomb County or any county in the State of Michigan.